This entry was posted in New Media_ENGL 866, Reading Notes and tagged Appearance, Disney and the Hyperreal, Dissimulation, Hyperreality, Jean Baudrillard, Representation, Simulacra and Simulation, Simulacrum, Simulation. Bookmark the permalink. Ah, Summer. Your reading notes are an adventure. 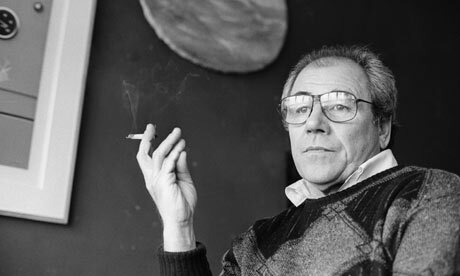 Baudrillard, as you know, is not on my list of cool people. I think simulacra and simulation is often overused (not to take anything away from Baudrillard, which I could never do). Having read Ramona’s notes on remediation, I think I am starting to conflate all the terms. Whenever I think of simulacra, I think of hip hop and pop artists. The definition you provided: “A material image, made as a representation of some deity, person, or thing.” Could an artist be so far out there that they become a simulacra of him or her self? Anyway, I am wondering if Hip Hop would be simulacrum. What I mean by that is that is similar to the way the law upholds “justice,” Hip Hop, in its present form, creates the “authentic” African American experience in the US. I’m not sure if I’m on the right track with that but I find this all very intriguing.